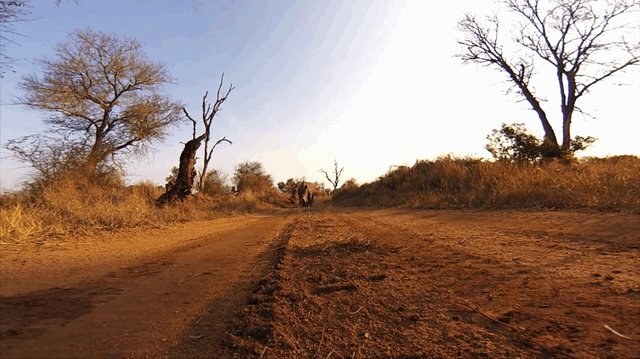 On the savannas of South Africa, you never know who you're going to come across walking down the road. 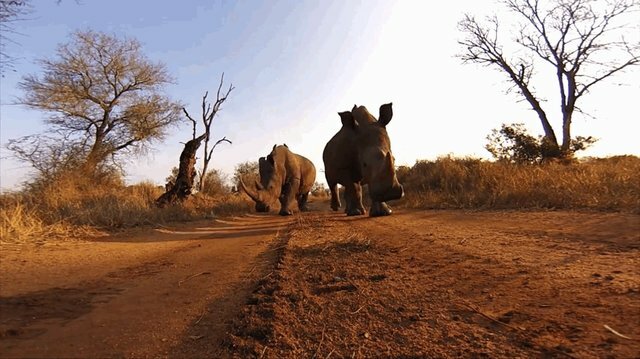 Sometimes, you come across pair of massive rhinos -- animals that can weigh up to 5,000 pounds and grow to ten feet long. 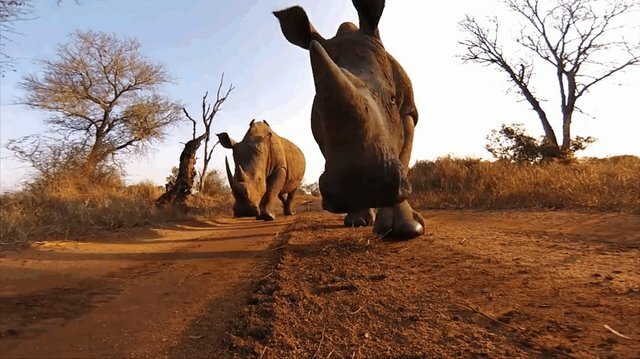 They use their two horns both to protect young and to battle attackers, so it's lucky that this footage was taken with a stationary camera, not a cameraman. What's that, out there in the distance?